As the backbone of our entire operation, our equipment is always maintained at the highest level. With a staff of mechanics and service technicians, we are able to keep our equipment and trucks meticulously cared for, ensuring functional dependability and safety without compromise. 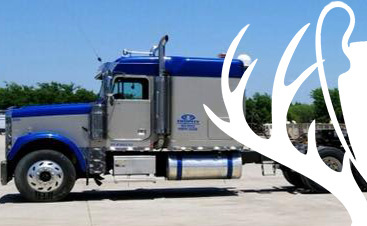 At Trophy Transportation, we are fanatical about the quality of our equipment as we know it means the difference between failure and success with every heavy haul. 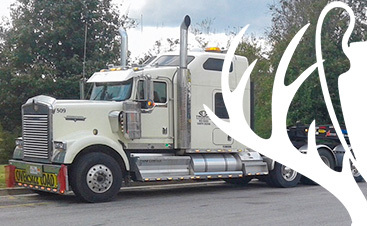 We also believe our drivers and superload technicians deserve to work with safe and reliable vehicles and gear. Providing flexibility for our clients, our equipment supports both large and small cargo transportation needs, regardless of the complexity of the move. With far more than a million miles logged by our drivers, and thousands of tons of cargo safely delivered, we are true experts in heavy transportation. The Trophy Transportation broker team is trusted by world leaders in the oil/gas, construction, mining, and power industries. 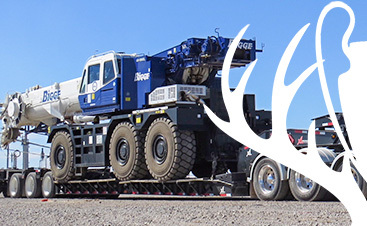 Through our freight brokerage and logistics services, we also enjoy access to a variety of heavy haul equipment options. By pairing the right transportation equipment and heavy-duty trucks with your specific needs, we create a seamless experience with every move. For an initial price quote, contact the Trophy Transportation team now. We promise a prompt, friendly response from a qualified professional.